I just love trolls. They are telling me what most socials think, but too intelligent to say loud. This is bad, because it's hard to argue with an untold argument. The social nonsense therefore remains in their head unchallenged. I had one pretty good one on Monday. Besides the #$@$# words, how bad I am and how sorry he is for me for not being to love aunt Marlene, he stated something interesting: without people who love me I'll have terrible life when I get old as - like everyone - I'll need the selfless help of other people, but I won't get any as nobody loves me. not to mention that any form of fun is out of your reach (If you are in an RSS reader without pictures, you won't get the sarcasm). Age is another excuse for M&S to not perform, to beg for welfare. It's not something that stops someone from supporting himself and even create something to the world. No doubt that it's harder for him than it was when he was 40. But there is always a way and someone who wants to do something, will find it. The point of being a useless M&S is not looking for anything but excuses, then whine for help. PS: "and what about Alzheimer or other mental deterioration? You'll need help then!". No I won't, as I am dead. I am defined by my thoughts. If I can't think anymore, I no longer exist. I can't care less what will happen to my former shell after I stopped existing. As much as I agree with your dislike of many social mentalities, I have to point out that your three posted examples of why you won't need help in your old age are completely invalid. In all three cases, these men had established and powerful careers long before they reached 60. Those careers carried them onward. In truth, I doubt any of them needed to keep working after 65 or 70, but instead chose to because of their personality. 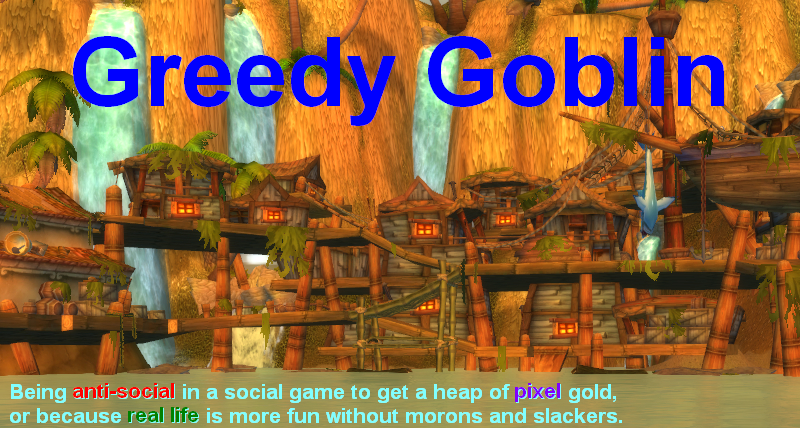 You, the Greedy Goblin, make a big point about how you work as little as possible so that you don't pay more taxes. You purposely undercut your career advancement because you see it as empty, social nonsense. Therefore, you will not have a powerful career to carry you past 65 and you will be stuck living off of what is given to you by the state or your family once you can no longer work. There is also the fact that these three men are examples of people who had high quality health care most of their lives and so who are in excellent shape for their ages. Based on your previous posts, you do not have this kind of health care and so you cannot expect to be guaranteed as physically fit and capable of continuing to work as these three. I realize you hate so-called "socials" with a burning passion that makes it a religion for you, but if you're going to post your social arguments up for the world to read, you really should make better examples. I totally agree with the PS. If I ever get a mental illness that make me unable to function, I want to get euthanized (even if I get to that point, I probably would not care about it anymore). I can't stand the idea to lose my mind. If not Alzheimer's, consider ALS. @SiderisAnon: no doubt that they have extraordinary elderly life because they had extraordinary middle-aged life. But the same way an ordinary life can continue in an ordinary elderly life. No doubt that I won't be an actor in my 70-es. But why can't I keep doing what I'm doing now? Oh wait, I now what's the problem here. Tomorrow's post I guess. Health care is mostly not about money but looking after your health. Not smoking does more for your lungs than a $1M lung specialist. As long as you keep enough money up for your "old yeller"-years you´ll not even need "selfless" help when you´ll suffer mental illness. But coming from "i don´t like to kiss aunt Marlene" to "nobody will love you" is kind of (find the right word) half-baked? foolish? mental limited? Sorry for that, but just becaus you don´t want to kiss an old creepy woman, who shares some genes, I got no friends? I got no children? Or does it mean I don´t care for anybody? Hey, there are people you like and some you don´t. The whole thing is about the stupidity in doing things you don´t like to get attention/love from people you don´t like or worse, don´t even know. If I got the point right, "socials" are people who want to get connected/friends or whatever with as many people as they can. And Asocial people are those who simpley don´t care about making friends. I consider myself asocial. I have round about 15 people I´d call friends and further 20 people who seem to like me. My friends and the "connected" like me because I´m myself and not trying to get along with everybody. I think some should think about the profit of "social" behaviour. If you can´t get the clou get out and hug some people you don´t know, if you feel good by doing that, you´re free to stay social (don´t miss the dosser down the street). I don’t think you should quote Descartes when it comes to Alzheimer. The Problem with Alzheimer, as well as Dementia, is that you don’t cease to think; you forget certain timeframes and are unable to take in new Information. For example: You know you have been married for 45 years and you live in a nice House. Unfortunately due to your illness you can not remember that your wife has died 2 years ago and you now live in a Nursing home because you are unable to take care of yourself. You are still able to process the information, when upon asking over and over again, the Nurse or whoever tells you that your Wife has died two years ago. You are still able to grieve, you remember her. You still think, so you therefore still are. But you do it at a lowered Capacity and the really bitching Part is, you yourself are unable to distinguish your current state of mind from your former one. Is your argument that, no matter how old you are, you can find a way to do it yourself? As someone who regularly works with the elderly, I can tell you on good authority that the people who have strong emotional connections to friends and family in their waning years live longer and healthier existences than the ones who have few connections. Even the ones that claim they don't need such connections near-inevitably have less positive livespans. Age is inherently a limiting factor, but what allows older people to thrive is their emotional connection to others and their community. The ones who consider themselves asocial, or don't want friends, are the ones who become frail and pass away quicker. Another point: if your mind goes, you don't care what happens to you. But if you have nobody that cares about you when you're in that stage, nobody will know that you don't want to live like that. So you are refuting the point that everyone needs free help when she's old? Also, a better counterargument than "you can work when you're old" (some people really can't) would be: "you can work when you're young and save or invest in children". First, I'd like to comment on your words about "being dead" (since you are your thoughts) while supposedly impacted by Alzheimer : people with this condition are not dead in their bodies, nor are their minds totally wiped out. Their minds sort of "phase in and out" with more and more "out" as the condition progresses. So it seems to me that your comment is oblivious of the concept of "universality" which is generally used to determine if a political/ideological concept is fair. Unless you would be ok (with an Alzheimer disease) to phase back in to find yourself in a miserable condition. This is the "poverty rate of the elderly". Don't you find surprising that (apart from Luxemburg which is a special case due to money laundering) the "best" countries appear to be social countries? Don't you find surprising how UK is so much worse (2.5x) than France? I don't believe they're 2.5x dumber or lazier than we are. Solidarity (but not hardline marxism) might not be as bad as you make it sound. The whole pension system is totally based on Ponzi scheme. It pretty much requires approx 4 payees for each withdrawers. It is about to collapse in whole Europe. No wonder raising the entry age is the "logical" solution by governments. They need to reduce the amount of withdrawers from this sinking ship as much as possible! @FrenchGuy how about Hungary then? A funny coincidence seeing as Gevlon is from there. Looks like he doesn't have to worry about his pension at all. I only wonder, since I know very little about Hungary, if this low poverty rate is due to social care, money laundering (like Luxembourg?) or because people there are excellent with their money. Also, is the same "poverty line" used for all countries or is it relative for each of them? The economy is very different, for example a "poor person" income in Switzerland would probably be classed as a "rich person" income in Estonia. Anyways, those who prepare for their retirement, won't starve. Doesn't matter if they are social-minded or not. Ahh, posting a pic. 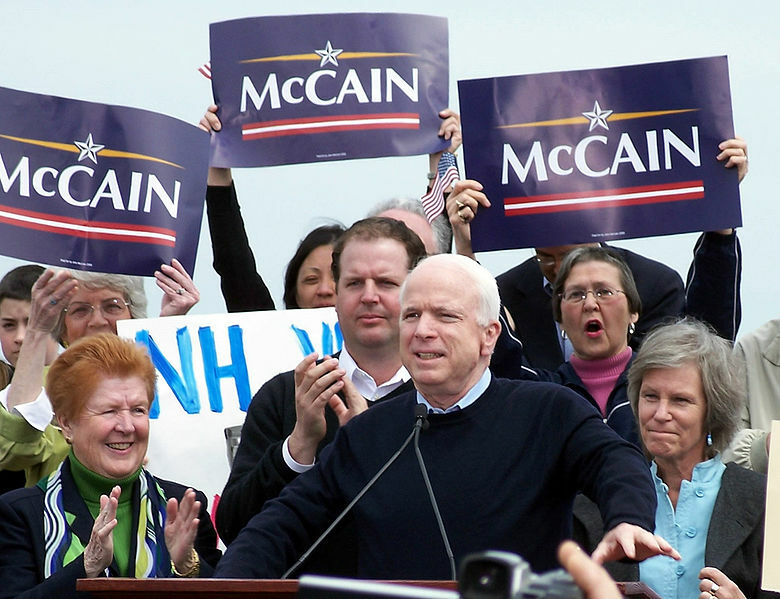 of John McCain here is deliciously ironic, considering he married a Beer Heiress. Following that he just happened to have the money to run for Senate, and is now part of one of the most privileged public-sector groups on the planet with a guaranteed funding stream even should he leave the Senate a gibbering, drooling wreck. I mean, more of a gibbering, drooling wreck than he already is. Hilarity, thy name is Gevlon. I don't know how old you are Gevlon but my guess would be mid 20s ? The one thing I guarantee is that your opinion will change before you get to your 50th or 60th year. But don't take my word for it. Roger Daltrey(66) - "Hope I die before I get old" too late, how's your salmon farm doing Roger ? Alice Cooper(62) - Shock rock with the chickens, now more inclined to a nice round of golf. Ozzy Osbourne(61) - The prince of darkness himself, now more likely to be drinking a cup of tea than a bottle of scotch. Mick Jagger(67) - Self proclaimed anarchist happily accepted the title Sir Mick in 2003. Most people are not getting the point. It's pretty obvious that none of us will get the privileged elderly of Clint or McCain. The point here is that to get old doesn't mean to get useless, and a lot of people bark about it because they're plain lazy. You have like 40 years to plan what will you do with your bones, so don't start bitching if you are in your 60's and realize you could have done something for yourself. I'd like to say too that a lot of elder people do the same domestic work as young people, so it doen't mean they are plain useless. If you can take care of a home bussiness or rising children, you too can get a job. the problem again is stupid social (and economics) prejudices: fora a lot of entepreneurs, old people are worse workers than young ones. That's plain stupid. I have never liked arguments like that ("you will regret this when you are old") because it acknowledges that you can get by just fine until then. And if you can get by fine until old age, and there is no practical reason to change, what is the objection? Or better yet, what is the reason to think that a philosophy that serves you well until then will not serve you well at that point? @Anonymous : the poverty rate used by Eurostat is "relative poverty" which is a threshold equal to 70% of the median income. It is therefore a measure of unequality. You said that those who prepare for their retirement, won't starve. Doesn't matter if they are social-minded or not.. This assumes that people can prepare, which is quite a big assumption. The country I know best, and therefore the one I can most validly talk about is France and I'll elaborate a bit : while salaries have stagnated in the recent years (even before the subprime crisis), some expenses deemed "compulsory" like accomodation, local tax, food, and petrol have risen up by 20 points (from my memory) of the minimum salary, which leaves people unable to save money. Also, in the past 30 years, 9.3% of profits have shifted from the retribution of work to the retribution of capital (*). This makes the rich richer and the poor have to work more for less. In other words, they're less able than they used to be to prepare a great retirement. The whole pension system is totally based on Ponzi scheme... No wonder raising the entry age is the "logical" solution by governments. They need to reduce the amount of withdrawers from this sinking ship as much as possible! Raising the entry age is not the holy grail. The activation % in the 50-65 bracket is way too low (30-40% here). Making it 67 will only punish those who actually contribute. The problem is shared though between employees and employers. I own a business myself, and only for a limited amount of positions I would consider employing someone that is 50/55+. They are either very expensive, or they have certain limitations. On the other hand, something we've seen here in the past 2-3 years. A guy works 35 years for the same company, hard manual labor in a factory. Back in the time he did not had the opportunity to go to college. So there he is at age 50ish, no job and with very little perspective. And the only reason was because his multinational company closed the plant to maximize their profit (they still made a profit during crisis, they just want to maximize it more). Truth is: capitalism is perverse, but socialism is even more. Capitalism will eventually explode (see what happened 2 years ago) and socialism leads to poverty. Finding a good balanced mix between both were you help the weaker and do not block the stronger is the challenge. Only a handful of countries have that sorted out. Your "P.S." section contains a pretty bold philosophical statement. Alzheimer's will eventually kill you, but I think it's a gradual process. At what point in the mental degradation do you cease to exist? Is it the first time you forget where your keys are? The first time you perform badly on a short term memory test? Do you cease to exist at the moment your mental capacity starts degrading, or does it happen when it becomes noticeably bad? Perhaps existence is a function of mental capacity, and you exist less as your mental capacity degrades? If that is the case, do children with autism or down's syndrome exist less than normal people? And, even if you don't contract Alzheimer's, everyone's mind degrades as they get older. Usually, you present good arguments, but acknowledge where they fail, or augment them when they are challenged. This time, I think you may be grasping at straws to defend your argument. "Another point: if your mind goes, you don't care what happens to you. But if you have nobody that cares about you when you're in that stage, nobody will know that you don't want to live like that." Document your position with a lawyer before it is too late. To pick nits, if Mick Jagger was ever a "self-proclaimed anarchist", he was lying through his teeth. Jagger is a graduate of the London School of Economics, and if there's one thing that has marked his career it's how incredibly business-savvy he's been throughout it. The controversy over his Knighthood had nothing to do with anarchy, and everything to do with the fact the entire band had, by that stage, left England for tax reasons. The main problem with the "I'll just keep going as I always go until I'm dead" thing is that age is not some kind of binary process where you switch between 'alive' and 'dead'. It's a continuum. Some time in your 20s your body stops the process of growing and starts the even more gradual process of dying, and it does so in an annoyingly un-uniform manner. So you could be, like my girlfriend's father, in complete control of your mental faculties but tied to an oxygen tank 24/7 and unable to get out of your chair. Or you could be, like my favourite aunt, in fine physical shape and actually rather jolly, but prone to doing things like pulling your TV remote control out of your handbag and saying "If I point this at people, they go away." And while the decisions you make during your firm years can influence how you end up in your infirm ones, for the most part it's a crap-shoot of genetics, environment and dumb luck. Well, your examples are exceptions and not rules, but you are not so stupid as to not know this. I think the aging argument is amusing because for the majority of people, their abilities in real life will diminish with age. In WoW, your abilities get better with age and diminish at lower levels. I think the trolls that write you are not stupid for saying that people need help when they are older, but stupid for saying it to you. They should know better. Oh wait, everyone's brain cells are shrinking, dying, and growing constantly. You've probably lost plenty of brain cells before you were even born. Seems pretty stupid to base your personhood on the idea that your brain cells are static. It's like saying you no longer exist if any of your skin cells die. Consciousness is based on more than one, few, or even very many brain cells. Many things, such as what you eat, what your relationships are like, what you read, how much sunlight you see, and sure, what diseases (brain, blood, endocrine, etc) you have, affect the shape and activity of your brain. If you have dementia, or a vitamin deficiency, or a thyroid disorder--that doesn't mean you're no longer you. I would say you're at the stage where "you" are dead, gone, whatever, when you can no longer think or feel. Not before that point. What the hell do dementia, omega3s, depression, anxiety, doing math in your head, losing your feet, etc have to do with kissing selfish, creepy strangers who violate your rights, anyway? How is this even connected? Does anyone really think this or is Gevlon overestimating human stupidity? Don't be "disheartened" by the horde of trolls (if that's the case; sorry if this word is an exaggeration). Trolls, yes; although there are intelligent posters around here, they're all "social" to the core (not that being social is bad, I'm only referring to the negative aspects of "social"). Let me develop my opinion: what they perceive as "evil" you perceive as good. Due to their judgment, you're subconsciously influenced and start to believe that you (or your thoughts) are "evil" or wrong! There, the conflict, the battle in your mind begins. This is an unnecessary energy consumption, you may call it stress (that which obviously is to be avoided). I appreciate the honest and brave way you openly discuss "dangerous", hot subjects like philosophy, religion, etc. (long live the internet anonymity). It's one of the main reasons I read your blogs. Keep it up in this style!